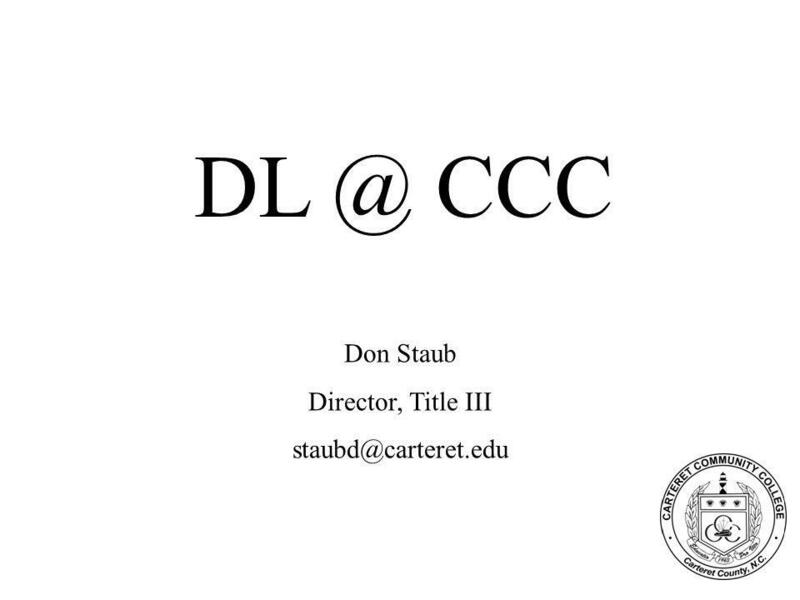 Download ppt "CCC Don Staub Director, Title III"
“When learners are at a distance, the careful design of assessments is particularly important, because society somewhat unfairly imposes higher expectations. When learners are at a distance, the careful design of assessments is particularly important, because society somewhat unfairly imposes higher expectations. 1 When learners are at a distance, the careful design of assessments is particularly important, because society somewhat unfairly imposes higher expectations. Gregory Beyrer July 22, 2010 For audio call Toll Free and use PIN/code From Blackboard to Desire2Learn. A laptop computer will be provided to each group to record group responses. Each group will have a co- presenter assigned to their group to assist with. How did we get Here and Where are We? Outcomes Assessment at Carteret Community College. 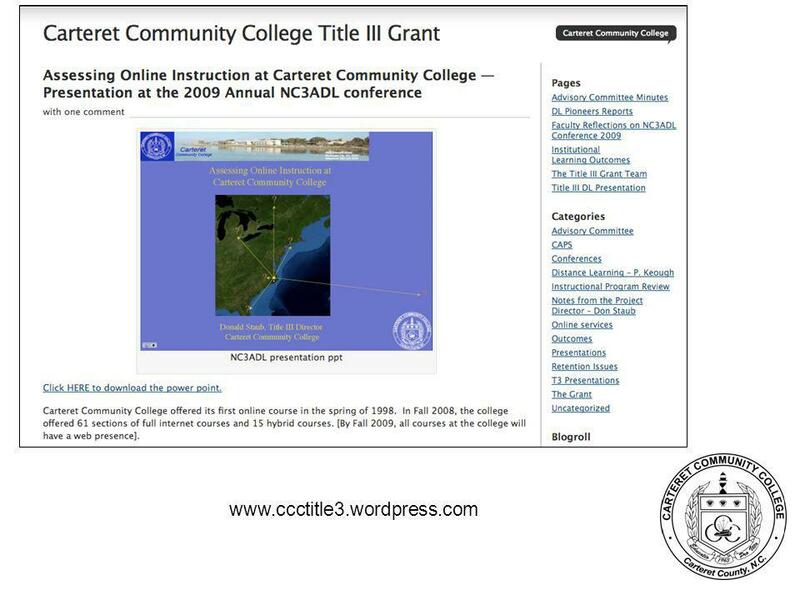 Copyright © 2008 Roger Webster, Ph.D. EDW647 Internet For Educators Conclusion Roger W. Webster, Ph.D. Department of Computer Science Millersville University. Networking, Internet, and Distance Learning Networking, Internet, and Distance Learning 1.Networking 1.What is Networking? 2.Networks 1.Wireless network. S. J. Schaeffer, III, EdD Advanced Learning Center Fall 2013. 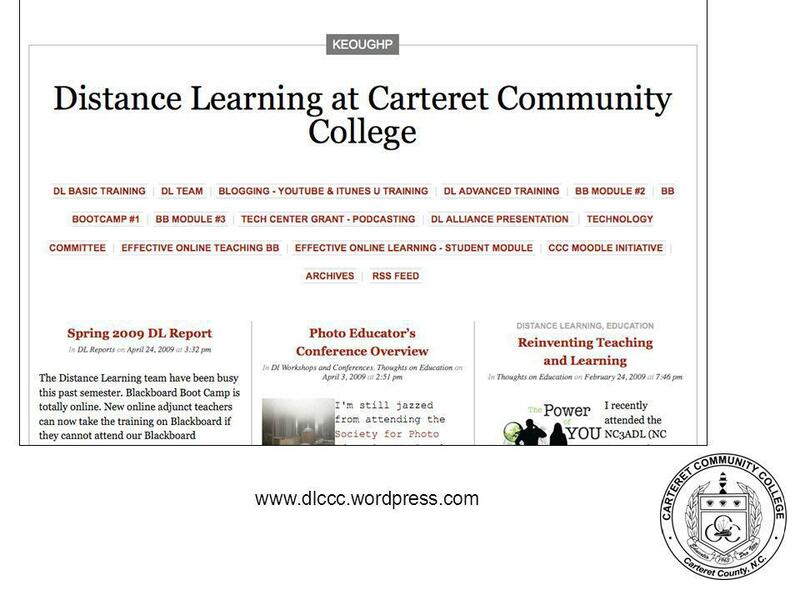 Developing and Assessing a Community College First-Year Experience Program David Ross Director, First-Year Experience Raritan Valley Community College. 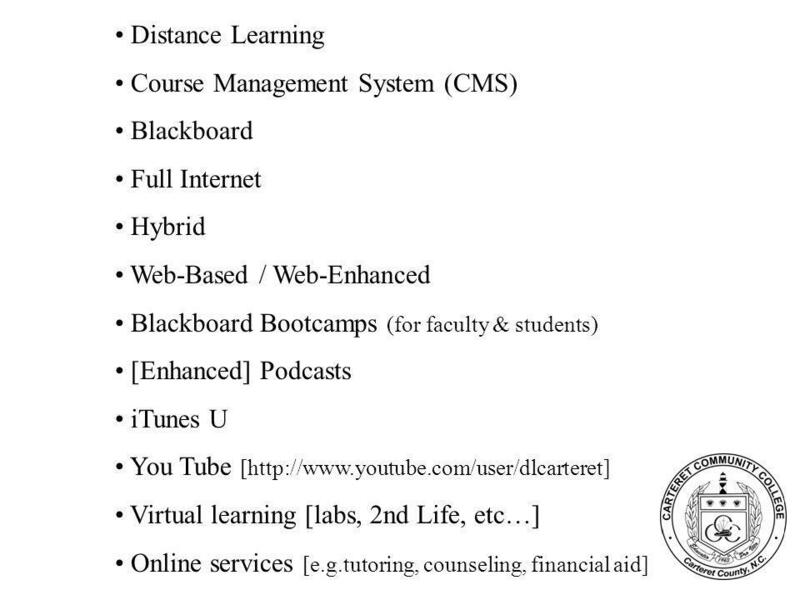 Online Counseling Services 2016 Instructional Design and Innovation Institute Marissa Iliscupidez, Counseling Faculty Norco College.